New Directions Publishing Corporation, 9780811219464, 144pp. 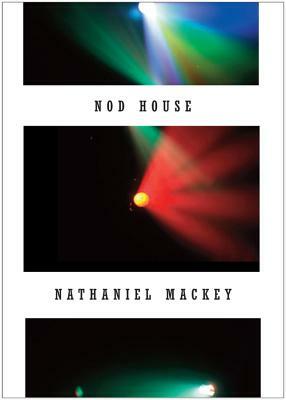 With Nathaniel Mackey's fifth collection of poems, Nod House, we witness a confluence of music and meaning unprecedented in American poetry. Mackey's art continues to push the envelope of what is possible to map and remap through words in sounds and sounds in words. Picking up with Nub's disintegration at the end of his previous collection the National Book Award winning Splay Anthem we follow a traveler and a tribe of travelers ensconced in myth and history as Mackey continues to weave his precisely measured music with two ongoing serial poems, Song of the Andoumboulou and Mu. The collec- tion is divided into two sections, both titled Quag, and it is this double-Quag ( Nub's new colony Quag or Qraq or Ouab da or Quaph . . .) that the tribe is exiled in, worlds within alternate worlds where names and places are ever-shifting, and dreamlessness reigns. From the pyramids to the projects, Ivory Coast to Lone Coast, Lagos to Stick City, amidst chorusing horns and star-spar lightning, Nod House ( Nub's / new / address ) unfolds as gorgeous eulogy, copla-cuts of deep song, the long elegiac march of day after day of the dead.